A trainer is worth their weight in gold. Sadly, there is a lot of fool’s gold out there. You’ve seen me rant about the fitness industry – about unqualified trainers, the business of fitness, etc, etc, but I just finished reading an article that I really agree with. I know, I know, it’s not EVE, but if EVE is real, shouldn’t our health be real as well? To add an example to this article, one of the things I find my adult group classes enjoy the most is the classic game of Twister. As a kid, it was easy to play. As an adult, it’s a workout in and of itself. Throw on a weight vest and it becomes even more trying. Pausing for 1 minute between each spin – devastating. If you’ve never tried it as an adult, I encourage you to get a few friends and give it a go. Just try not to slip on the sweat while you play. 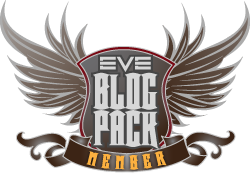 This entry was posted in Roc's Ramblings and tagged EVE Online, Roc Wieler, twister. Bookmark the permalink. I played a lot of Twister at college. I remember it being quite a hard workout.